Our Fiberglass boxes are made with heavy duty fiberglass construction and stainless steel latches. 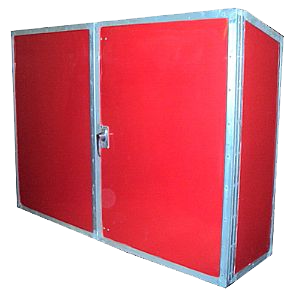 Emergency equipment boxes are custom designed for all-weather, year-round storage and protection of your emergency equipment and/or instrumentation including all fire fighting related equipment. Manufactured with high quality, corrosion resistant materials designed to protect all types of equipment from exposure to harsh UV rays, chemicals, moisture, dust, salt air, insects, and temperature extremes. * mounting brackets and stenciling are available upon request for all boxes.